Before moving to Portugal we lived in Barton, a quintessentially English village, 3 m iles from Cambridge. 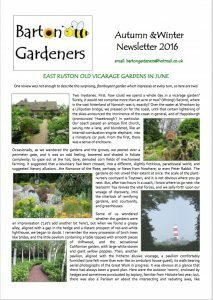 Each year they have a village day, the main part of which is the Barton Gardeners Annual Show in a marquee on the village wreck. The villagers can exhibit their work from flowers to photographs, from vegetables to cakes. Competition is very keen for the several trophies presented for the best exhibits. In 2013 I was recruited to shoot the evening entertainment which was provided by ABandandADJ. One of the first projects I worked on when I moved down to Cambridge in 2009 to live with my new partner Angela, was a joint building/AV production. Hence the “21/2 Minute Home Office“. The main aim was to build myself a space that was my own. So, if ever I was in the dog house, I could sneak out into my ‘man cave’. Fortunately (for me) the back garden was large enough to build my log cabin, unfortunately (for Angela) it did mean knocking down of the chicken coop (the chickens had all gone by then) but also, to Angela’s great consternation, the moving of her beloved Mulberry tree. My bad. My very bad. My very very bad. My extreme bad. Despite all that bad, it was a very rewarding project as a lot of the materials used were recycled, found, job lots, or ‘seconds’. Some items had to be bought, so the total cost was in the region of £1750. You can buy a ready made cabin (for around £12000 – £15000), but I like my custom build better! I loved my cabin, until I watched George Clarke’s ‘Shed of the Year’. But then, mine is a cabin, it’s a home office, it’s a garden chalet,it’s a man cave, it’s a studio,it’s a creative space. It is not, definitely not, a shed! 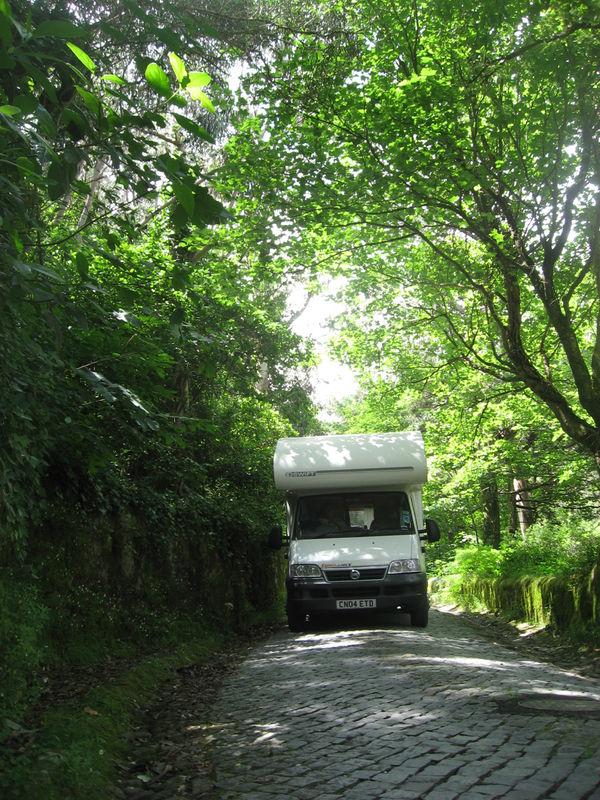 The seed was sown when we spent the winter away in our motorhome in 2013. The previous year we’d been on an extended trip from late October to December and really liked the area south of Cadiz in Spain. So, the plan was to first visit friends in N. Portugal, then head down and spend a couple of weeks in the Algarve before heading on to Spain. However, we liked the Algarve so much, we stayed three months. 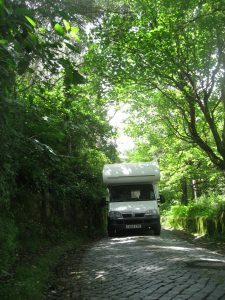 Although we thoroughly enjoyed the motorhome trips, we started to talk about finding a place. Bit strange for us really, both of us really enjoy travelling, so the idea of having another base, even in sunnier climes…? “We can just look” says ‘Her Outdoors’. “We don’t have to buy”. “Sure” says I, thinking that it would never happen, we are always having grand plans. Shows how much I know about such things. Our starting point for research was to watch what seemed like at least two full series of each of; Home in the Country, Home in Sun , Winter Sun, Grand Designs, Grand Design in the Sun, George Clarke’s Amazing Sun, Location, Location, Location…in the sun, Escape to the country… in the sun, and especially A Place in the Sun. (Notice the common element yet?) Mostly the programmes pointed us to Spain or Portugal, so considering our experience on our trips, we leaned towards Portugal. Couldn’t lean far enough to feel the sun, but it was a start. Now the winter of 2014/15 was not a good one in the UK. Cold, wet, windy, very little sun and arthritus playing up. By the beginning of February winter was doing its damndest to drive us out of the country. ‘Her Outdoors’ kept describing me as a ‘sad git’. I was feeling a little aggrieved and down at this, but eventually realised she was referring to seasonal affective disorder (SAD). I knew about SAD as my youngest daughter had made lots of references over the years about my winter ‘moods’. I just thought it was due to having to work outdoors in cold, wet conditions and that I’d had to give up playing football due to an injury. Seems I have now got a newly recognised, trendy ‘condition’. Either way, we were ready for… something! ‘Her Outdoors’ came up with a suggestion – “We could make use of one of those subsidised ‘inspection visits’ I heard about at that show I went to. It would be nice to get a bit of sun”. “Great idea” says I, not knowing what they entailed, but all for a bit of sun. So, three Googling weeks later, (not a swear word, just lots of research deciding what type of house, location, buying advice, money laundering services etc) we were off. Flying that is, not running this time. We were really impressed with his understanding of our needs and also what we could get for our budget. But by day two, we hadn’t quite found ‘the one’. A house that is, not the messianic Jose Mourinho (He of course, is the Manchester United Manager and hails from Portugal for you non football fans!). We were tempted by a couple of properties, one of which was three-properties-in-one, so to speak. The villa was excellent, in a complex with beautiful gardens, community pool and virtually no maintenance needed. The finish was superb, well laid out, plenty of space, plenty of storage. ‘Her Outdoors’ and I just looked at each other and said “But what would we do all day?!”. It was just too perfect and what we wanted was more of a project. John was right in showing us the property though, as it confirmed what we didn’t want a ‘turn key’ solution. We wanted a house to live in, not just for holidays. 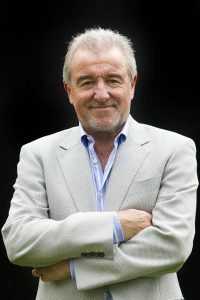 John knew of another property which he thought would fit the bill, but had not been able to arrange a viewing as the owners were away. We decided to drive to the house so that at least we could see the location. Fortunately, the owners had just returned and he was able to arrange a viewing the following morning. Next day, bouyed up by our quick glimpse of the house (or was it the copious amount of wine the previous night? ), we set off to view. Well view is very apt. 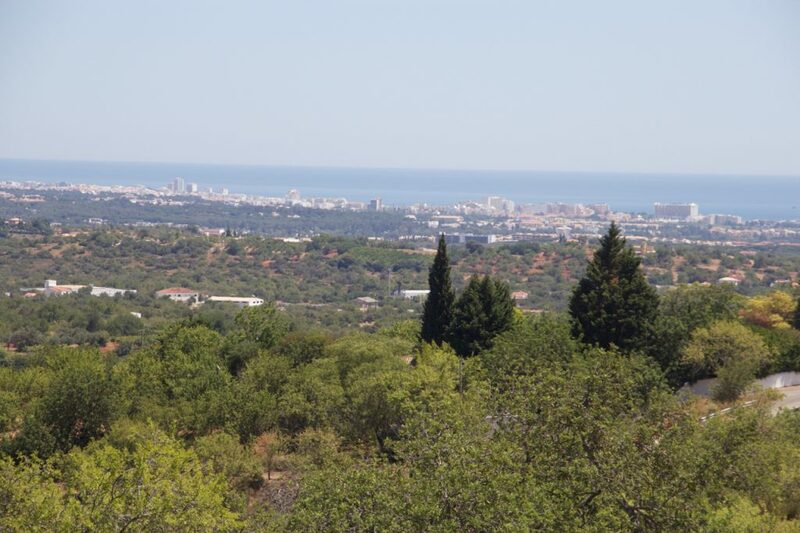 The house has such a commanding panoramic vista of the coast stretching from Faro to Vilamoura. Tick! 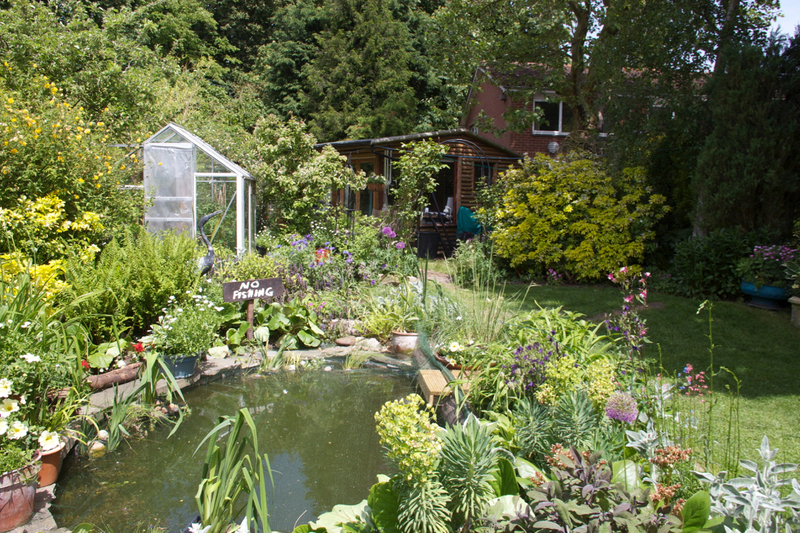 It had an attractive garden, part landscaped, part meadow. Tick. With lemon, orange, fig, pomegranate, olive and almond trees. Multi Tick. 5 mins cycle to a Portuguese community centre and 3km from the quaint village of Boliqueime. Tick. The house itself had plenty of character. 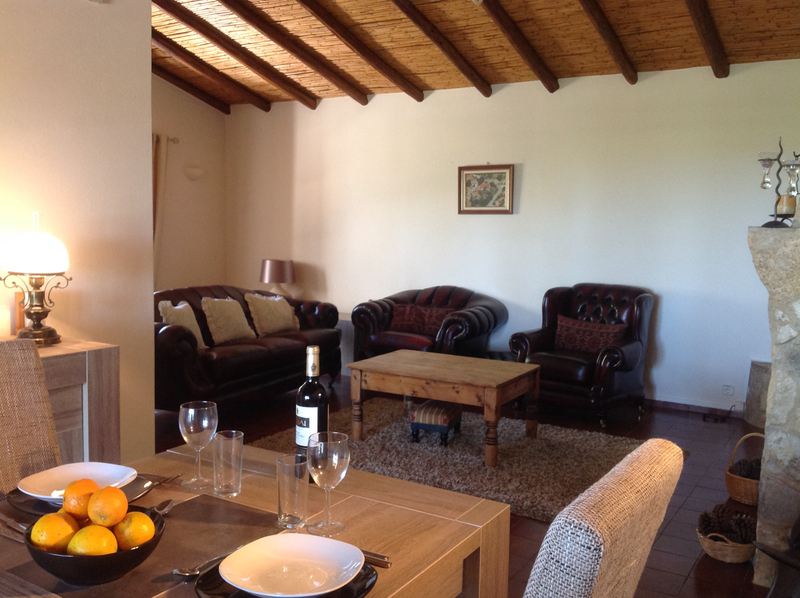 Typical Algarvian ‘quinta’, with traditional ceiling, log burning fire. Bread oven in the utility room. Tick. By this time I’m starting to get downhearted as I hear that familiar mantra in my head. “We are not buying a house, just looking”. It had a swimming pool, was quite secluded, easy reach of Faro and it had an annex, just perfect for rental! Tick bloody tick tick tick. My card playing skills do need developing but I would make a good poker player. The point is, I have the driest of wits (one has to keep dry in the UK somehow) and therefore I can keep a straight face. However, ‘Her Outdoors’ often finds it difficult to withhold her emotions when excited about something. But, I learned something very important about ‘Her Outdoors’ that day. She can too! Neither of us wanted to give anything away, fearing we would sway the other despite both of us feeling excited about the prospect of living there. But we said we wouldn’t buy a house, we were just looking. So, “Not bad” says I to ‘Her Outdoors’ and “it’s alright” to John, with typical Yorkshire understatement. The following day we were due to fly home, but had time to do two second viewings; to the ‘tractor’ property and the ‘tick tick bloody tick’ property. Consequently the ‘tractor’ got a tock and ‘tick tick bloody tick’ got another bloody tick! So we had to buy it! Decision to buy made, I was under pressure to negotiate a knock down price. Now there’s another blog! First day, first stop, was the local post office in Boliqueime, where we learned that we have to go to the post office in Loule (10 km). Second day off we trot (well actually we drove, but allow a little literary licence here…) to the post office in Loule. There we learned that we have to buy our own postbox (about 30€). We also learn that the custom in Portugal seems to be that old and pregnant women have priority in queues. Fine I’m ok with that, but Angela doesn’t meet either requirement so that by the time we get to the front, they haven’t time to serve us. Instead they tell us to come back after lunch! Return after lunch (nice menu complete for 10€) and buy post box. We were then advised to pop next door to the mail sorting room to meet our local postman, in order to get a postal number for the postbox. Day three, we took our postbox to the location where other postboxes are, not to our house! There we discovered that to fix the postbox you need to bolt it through one of your neighbours boxes, as well as the post. Problem! We had no idea who our neighbour was, so we left a note in their box explaining that we needed access. Problem 2, we do not know if the neighbours understand English, so were we wasting our time? Problem 3, we do not know if our neighbour is an absentee owner or holiday home owner. We prepare to wait for 2/3 months or so for them to come on holiday. Wait only lasted four days before we get a visit from the neighbour! Great excitement, our first visitor! A nice German couple from further up the hill. Arranged to collect keys and fixed the box. Result!